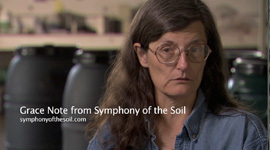 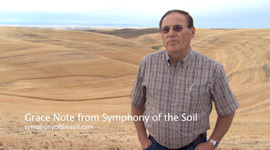 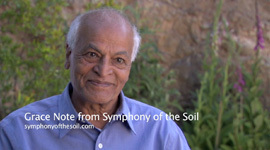 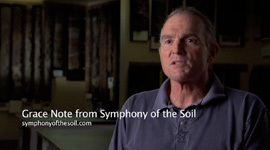 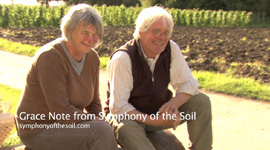 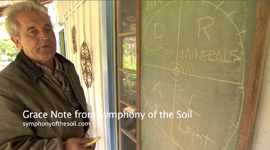 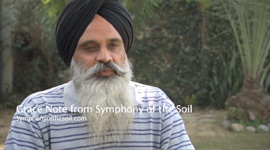 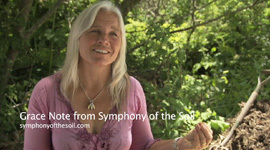 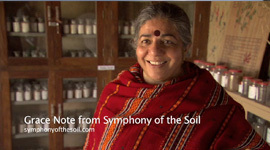 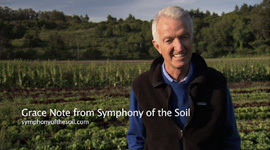 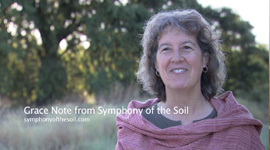 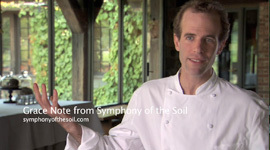 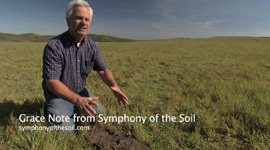 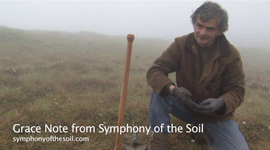 The Symphony of the Soil Grace Notes are short clips and film out takes that we couldn’t bare to leave on the cutting room floor. 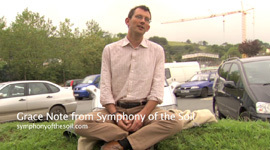 Available here for free to share, like, or embed on your web site. 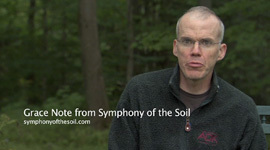 Check back every so often as we’ll continually be streaming new videos. 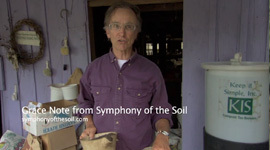 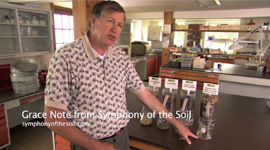 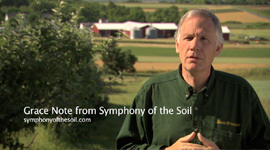 Dr Paul Hepperly demonstrates the benefits of organic soil management practices in the Rodale Lab. 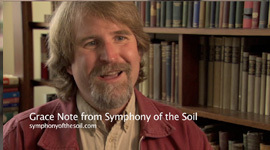 Professor David Montgomery tries to explain the history of farming… but he doesn’t get that far this time around. 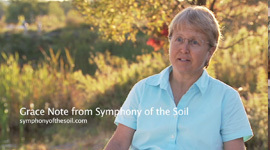 Dr Elaine Ingham talks about how we have taken good soil and turned it into Dirt- a substance devoid of and incapable of supporting- life. 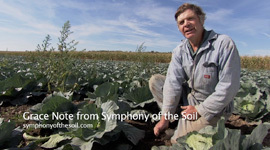 Warren Weber of Star Route Farms speaks about the difficulties of starting an organic farm in California in the 70s, and how many told him it couldn’t be done.